Disturbing news I received yesterday in my inbox. The good news is you can help alleviate the situation with a little typing and mouse work. Read on. Slavery is not a relic of the past. It might not be happening next to your yard but it does happen in many spots around the world. In developed and undeveloped countries. The person uttering the above knows how modern slavery feels like, in Eritrea. You may cozily live far from this African country but the distance doesn’t change the essence of what’s going on. There is another reason not to relax – a Canadian company is knowingly involved in this. Nevsun Resources is a Vancouver-based mining company. 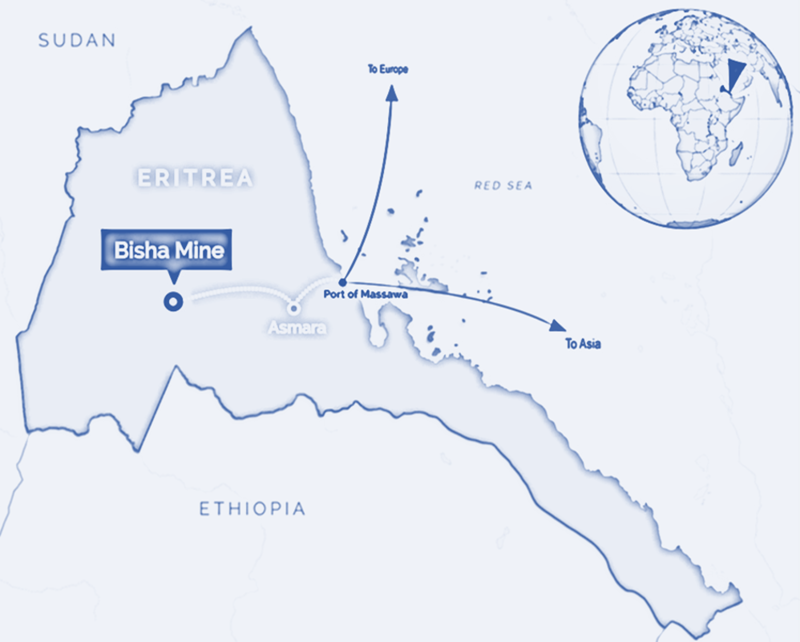 In 2008, it launched a construction of Bisha – gold, copper and zinc mine, in 150 km from the capital of Eritrea. To help with that, it hired a local government-owned company – Segen Construction. For your reference, in Africa, it is widely known that during peaceful times Eritrean government exploits many of its military conscripts by forcefully making them to work under civil companies it owns. Yet, being aware of that, Nevsun did not have an effective employee screening program in place. As a result, Segen managed to sneak in conscripts and use them as cheap labour. Former mine workers who were able to escape say they were forcefully assigned to work in Bisha under Segen. They say they had no freedom to move, were kept in horrendous working conditions and ate just a bit of beans and bread. I guess I should not say “workers” because workers receive salaries. These were literally slaves as they worked nearly for free – 90 nakfa per month. While in Eritrea the monthly average salary is about 600 nakfa, so do the math. This was further worsened by the economic situation that the country is in since 2000s – the prices are sky high there.“The helicopter used to come twice a week to take the gold away. But we were not given enough money for a bar of soap.” Most importantly, they were punished with torture and months of imprisonment for resistance and attempts to escape. In fact, one of the former slaves who finally escaped to Europe, was beaten to the point that he could not walk. Who knows why but in the last 8 years Nevsun Resources made no significant attempts to address the atrocious reality in their mine. The company bounces back all allegations with denials. They either say that forced labour has not occurred at the mine or that Nevsun has no responsibility over this aspect of their operations. They did express regrets but that is not enough. 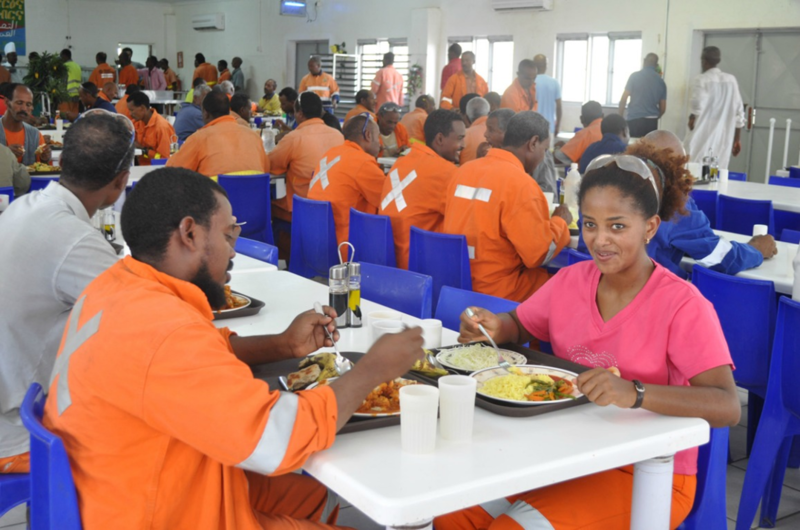 The thing is, majority who work at the mine are Eritrean. With only a dozen that escaped you are only left to guess how many are still dragging their existence in hell. Gold gathered with bleeding mind and heart… and Nevsun generates profits from it. Are the Human Right Policy on their website are just letters on the screen? Why should they be allowed to remain ignorant? BlackRock and M&G Investments are their major shareholders. If they withdraw their investment in the company, maybe Nevsun will become more responsive. If you feel like doing something meaningful today, spend two minutes of your time and ask these shareholders to divest from Nevsun. Remember, everything comes back to you like a boomerang. Today you give a hand, tomorrow you will be given a hand or two! Besides, today is Human Rights Day!!! Pass it to your family and friends. Many thanks!